Enchant friends and loved ones this Easter with one-of-a-kind gifts they’ll love. Welcome family and friends with entertaining essentials perfect for the season. From table settings to egg hunts, Easter baskets and more, shop Agapanthus to bring harmony and warmth to any home. Easter baskets are a fun, traditional way to celebrate Easter. Fill them with gifts that’ll bring happiness all year long. Perfect for jewelry or other small treasures, these trinket boxes will add extra sweetness to any Easter basket. 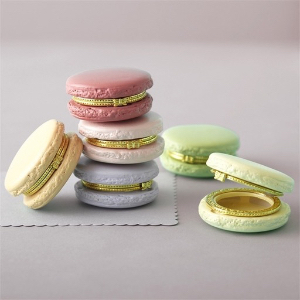 Available in five colors, including rose, light pink, peach, light lavender, and pistachio, each box bears a striking resemblance to the Parisian confection and are perfect for concealing little treasures. Include some “awww” in their basket with cute footsies for chilly tootsies. 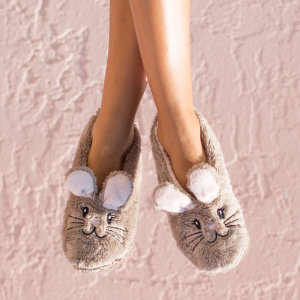 These adorable faux fur bunny slippers are complete with a soft, plush inner lining and rubber non-slip nubs on the bottom. Get a pair for everyone to hop around in. Give the gift of warmth with a refillable Nest Candle from Lucid. 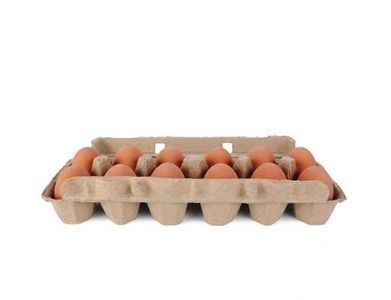 This warm glow of this beautiful candle will accent any setting with their very own eggs nest. It will always burn evenly without melting or dripping, too. Simply refill with unscented Lucid candle liquid (sold separately) for a lifetime of perfectly delicate lighting. 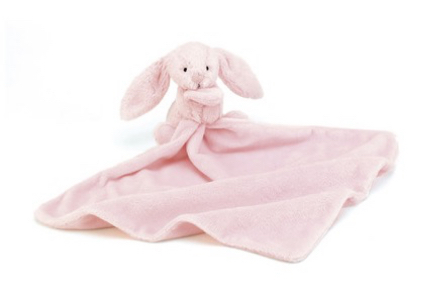 Calm your little one and help them into a peaceful slumber with a travel-size cuddle-soft bunny blanket. This must-have cushiony blanket and plush bunny combo is just the right size for cribs, strollers, and bassinets in pink or blue. 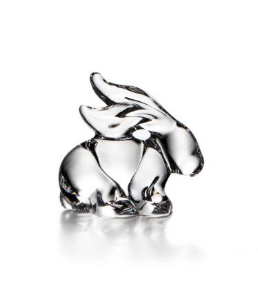 Put a twinkle in the eyes of someone you love this Easter with a delightful glass rabbit figurine. Handmade in the U.S. by Simon Pearce glassblowers, this charming piece is perfect for desktop, on a table, or a lighted display case to capture the spirit of spring. It cleans easily, and measures 3 inches high, 3-1/4 wide, and 1-3/4 deep. Gift boxed. Adorn their home with a lovely set of decorative white-washed wooden beads featuring a heart for love or a cross for faith. It’s the perfect gift to add to a Sunday brunch table or to display in a prominent location in the home for a joyous Easter celebration. Another glass creation by Simon Pearce, this elegant symbol of faith is a fitting gift that represents the meaning behind Easter. This substantial piece of crystal clear glass lies on a desktop or table, or stands in its wooden base. 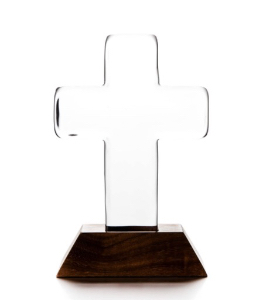 This hand crafted solid glass cross will softly shine and illuminate faith from any vantage point in the home. It’s easy to clean and measures approximately 5 inches high by 4 inches wide. Gift boxed. Lively and intoxicating, choose from a dozen single notes of French perfume that can be worn alone or mixed and matched to create her custom fragrance. Solinote fragrances are perfect gift for a special woman on any occasion, from Easter brunch to dinner for two, and everything in between. These beautiful marble patterned scarves add a touch of elegance to that special Easter Sunday outfit. Choose from three colorations, including blue and green, green and pink, and pink and purple. It can be tied in a multitude of ways for a fresh look every time. Set the stage for the perfect egg hunt with fun, new traditions. Sweeten your Easter egg hunt with silliness! Hide these egg-shaped bouncy balls and watch the fun unfold this Easter for kids of all ages. Keep in mind that each bouncy ball is sold separately - get a set of 12 or more for the ultimate Easter egg hunt. Give a gift that lets them display their famous deviled eggs, beautiful dyed eggs, red eggs for Pascha, or even an assortment of chocolate eggs. Handcrafted in Tuscany, Lastra stoneware from Vietri lends a relaxed feel to any tablescape. 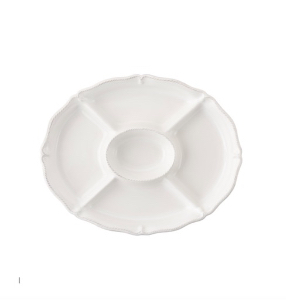 This rustic update on the classic deviled egg tray is dishwasher safe, and will be one the host will cherish for years to come. Help them serve a memorable Easter brunch, from start to finish. The right roasting pan is the base for the perfect home-cooked Easter dinner. 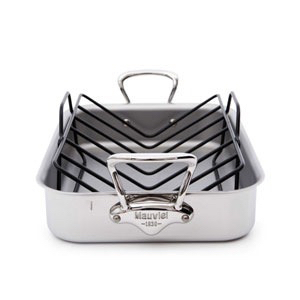 This high-performance roasting pan with uniform thickness heats evenly and has high sides with pouring edges that eliminate spills The rack is included, and this pan also works well for poaching and saute stove top or on the grill. It’s lifetime guarantee means years of mouthwatering meals. Anchor your Easter table decorations with timeless and classic Nantucket Basket place settings from Wedgwood. Each four piece setting includes dinner and salad plates, bowl, and mug crafted from fine bone china. Clean up is a breeze, too, as these settings are dishwasher and microwave safe. This pattern's soft coloration and basket weave makes it a perfect choice for decor from farm house to traditional. A classic serving tray like the Juliska Berry and Thread Crudite Platter will become the go-to platter for entertaining a crowd for Sunday brunch. Like all Berry and Thread stoneware from Juliska, this platter is hand finished for a relaxed look, and is dishwasher, microwave, freezer, and oven safe. Generously sized, the four outer sections will hold a variety of veggie and appetizers, while the center section is great for dipping sauce. 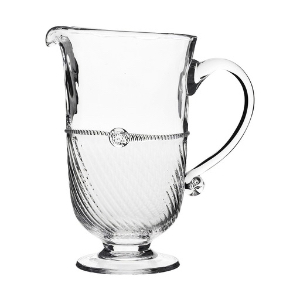 Embellish their table or bar with this charming mouth-blown pitcher that’s ideal for sweet tea, iced lemon water, and other cold drinks. Its stunning yet simple blend of clear and optic glass joined with a sash and berry will dress up their table this Easter and beyond. Color, quality, and practicality come together for tables with Claude Dozorme knife sets. Available in neutral colors and arrays of bright colors, these boxed sets are a great gift for anyone. 100% made in France from an area with a centuries-old tradition of quality and craftsmanship. Boxed in sets of 6 perfect for Easter and year round. Give them a way to serve their sides in style with this handcrafted Classic serving bowl made from sandcast 100% recycled aluminum. From salads and hot vegetables to fruits fit for a still life, this handsome serving bowl will provide a wonderful accent to the Sunday brunch table. 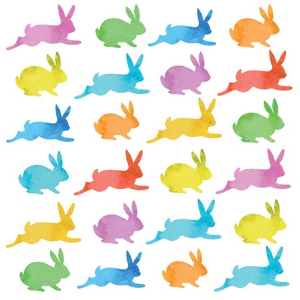 Practical and adorable, help them decorate their table with a set of adorable lunch napkins featuring bunnies in a variety of spring colors. These soft, 3-ply paper napkins come in sets of 20 and are housed in a resealable package for safe keeping. Cocktail size beverage napkins are also available. 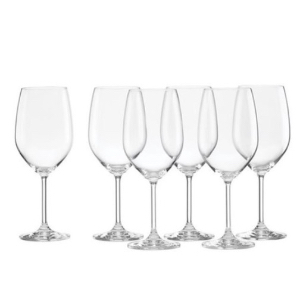 Make your Easter brunch or dinner table sparkle with these Tuscany Classic white wine glasses that are designed to optimize the flavor notes of Chardonnay, Pinot Grigio, Sauvignon Blanc and Chablis wines. Made from break-resistant glass, Tuscany Classics are perfect for every day use or for enjoying the finest wines. This Easter, buy four Tuscany Classic White glasses and get an additional two, free! Great value on stemless and red wine glasses as well. Top it all off with a bottle of Bocale Montefalco Sagrantino wine this Easter to enjoy with your meal. Found in-store in Ocala only, this wine is well-structured with an aroma of blackberries and currants and notes of spice and vanilla. 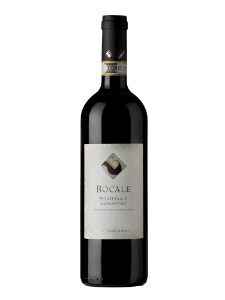 From the Umbria area of Italy, Bocale wines are herbicide-free, pesticide-free, with no sulfites added. Plan your Easter meal around the foods it’s best enjoyed with: red meats, cheeses, and pasta dishes. Enjoy your Easter celebration with these one-of-a-kind gifts! If you would like to browse more gifts, visit our locations in Gainesville and Ocala or shop online. Have questions? Get in touch with us via phone (Gainesville 352-672-6004, Ocala 352-401-0800) or email (Hello@ShopAgapanthus.com). We'll be here to help!